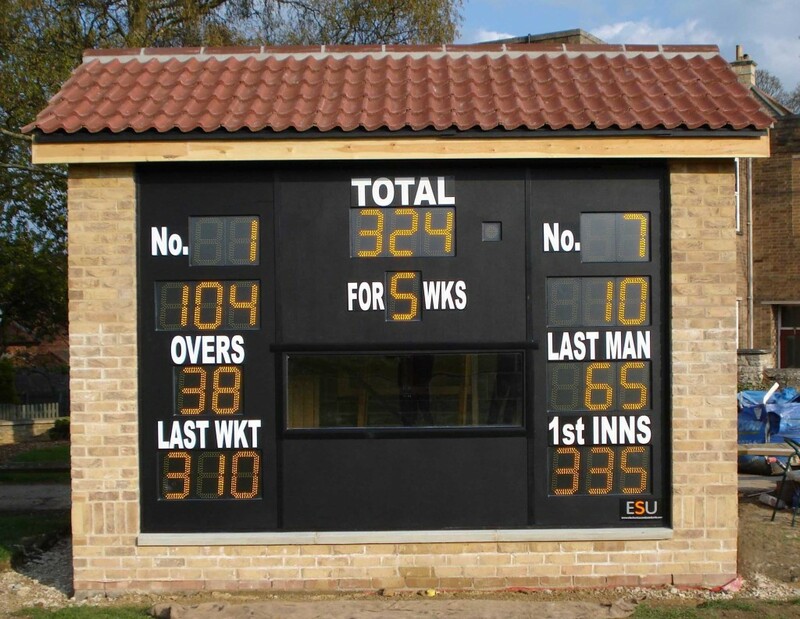 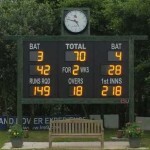 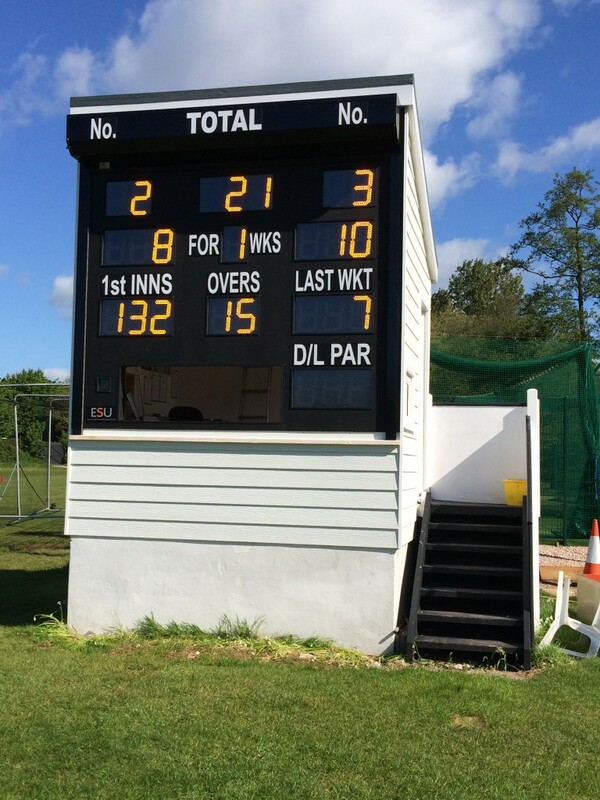 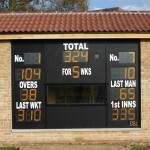 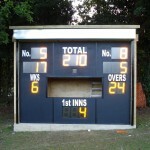 Stamford School – Scorebox doubles as tuck shop with serving window at rear! 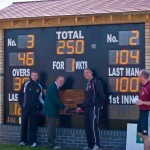 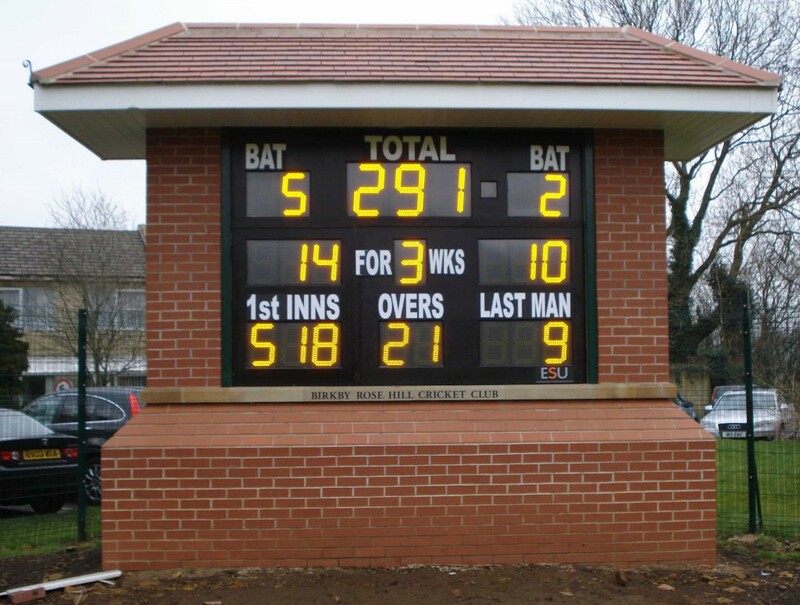 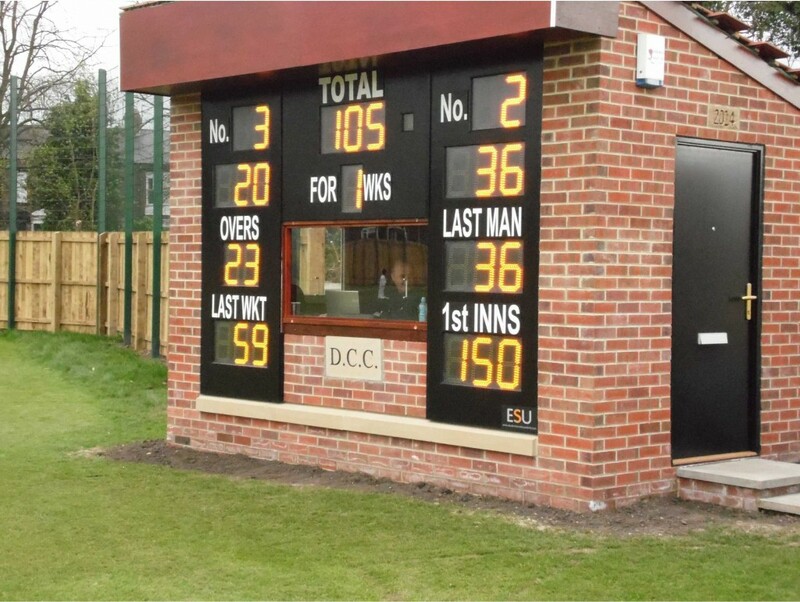 When Darlington’s old scorebox was demolished due to redevelopment, club members built the replacement. 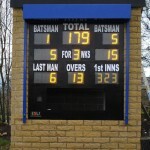 Scoreboard incorporated above machinery store at Silsden CC. 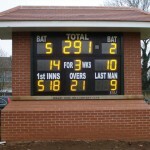 One of two built at Wokingham CC’s new out of town ground. 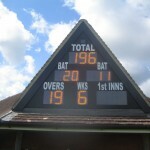 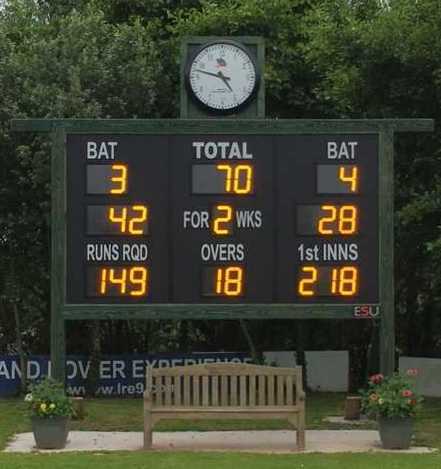 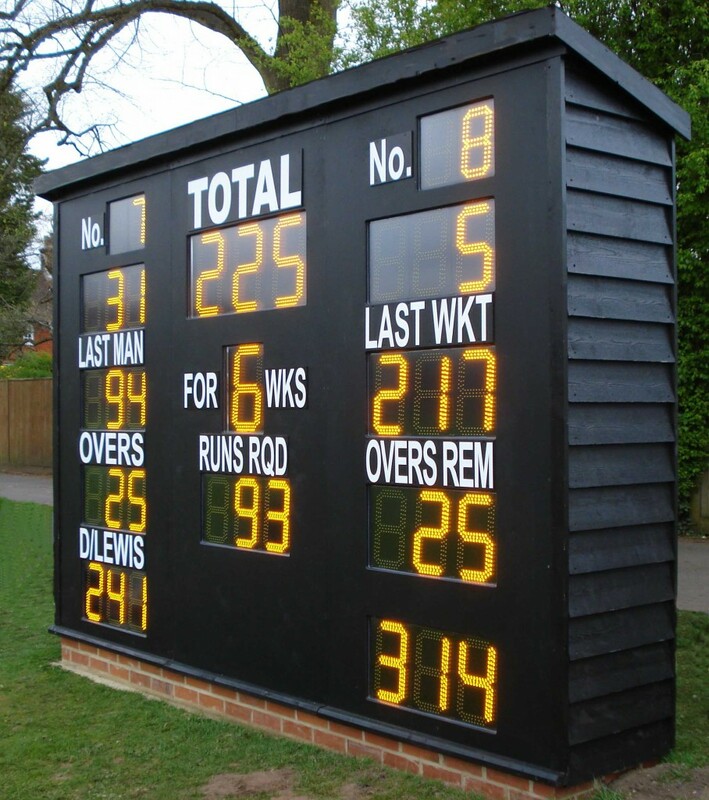 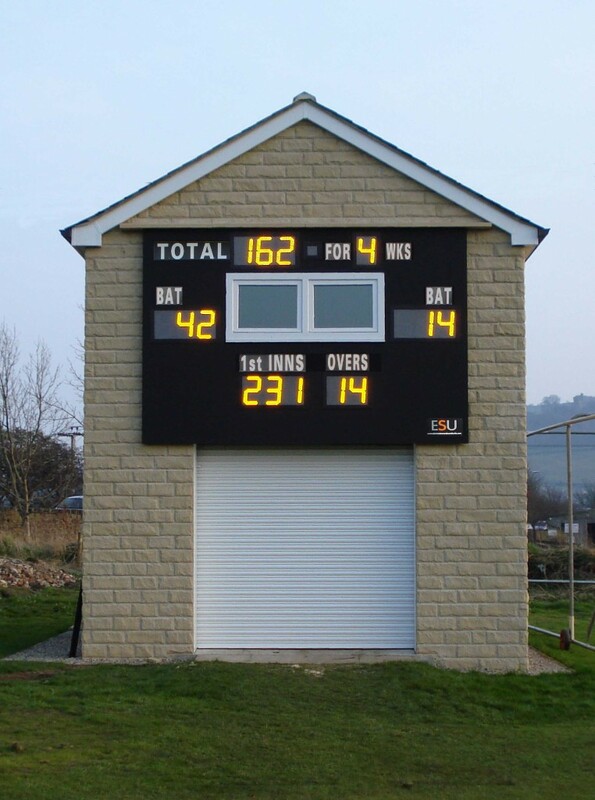 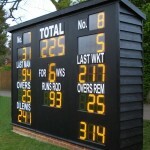 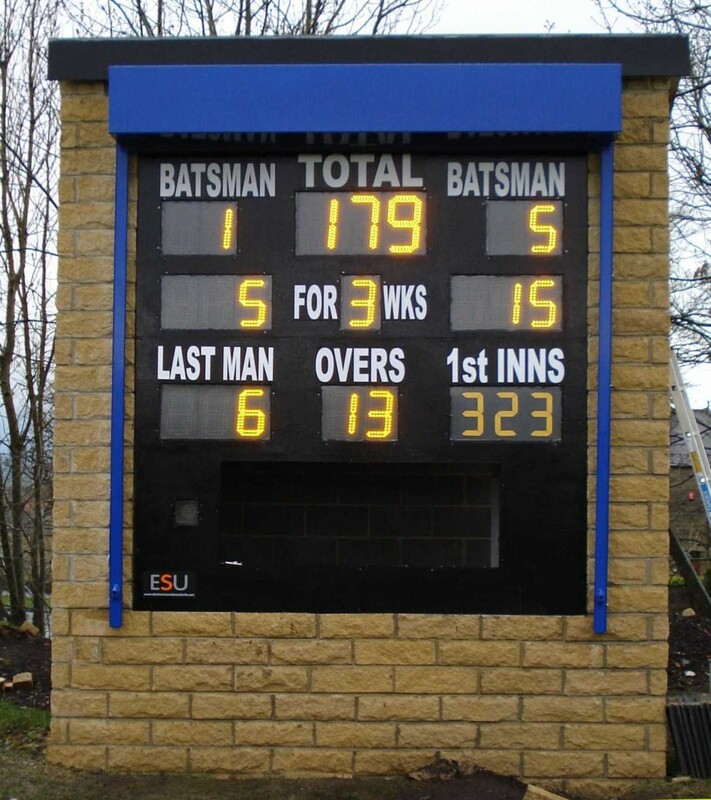 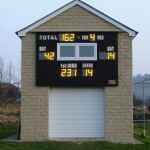 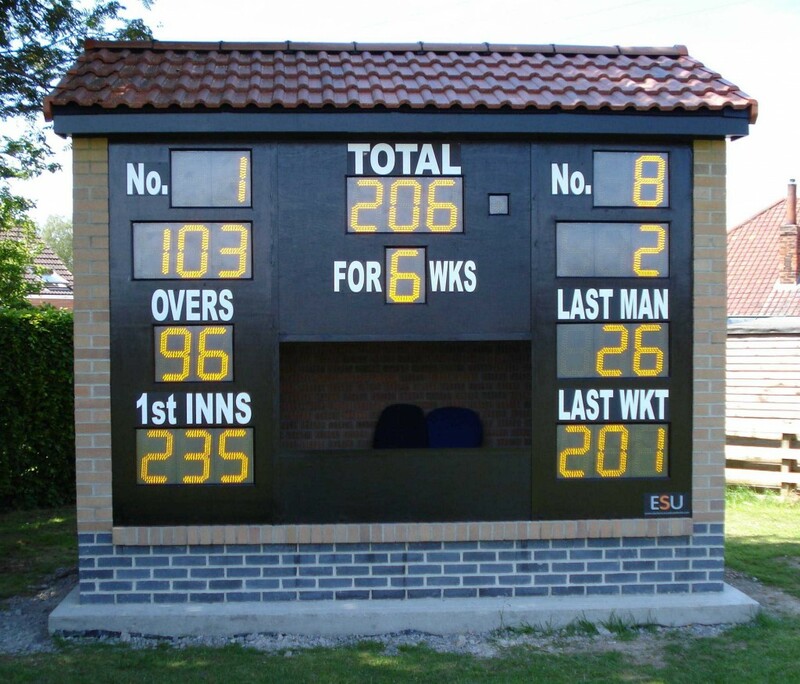 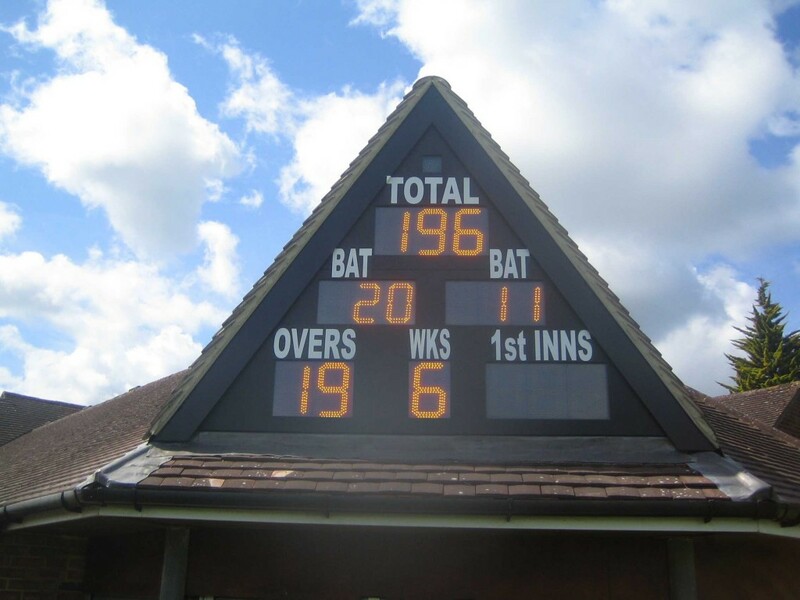 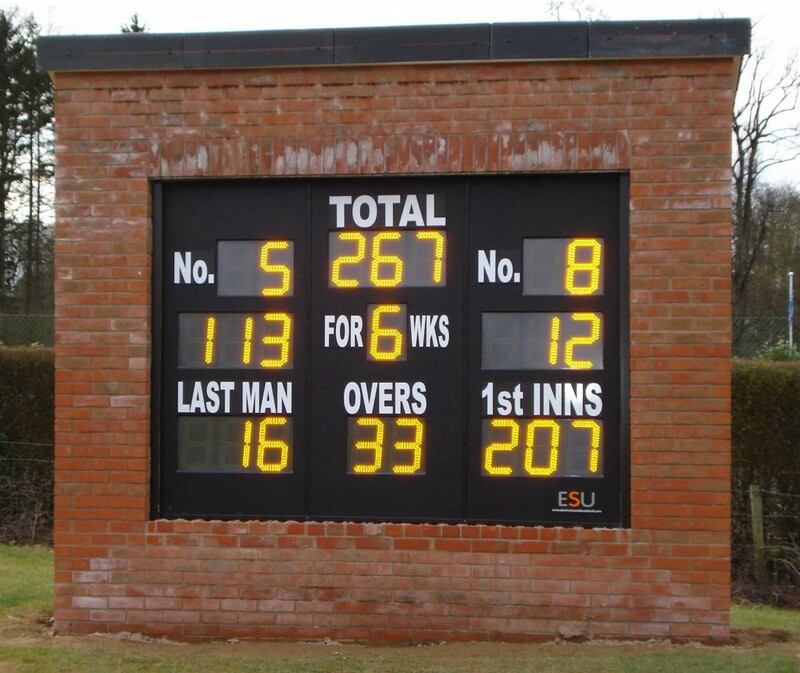 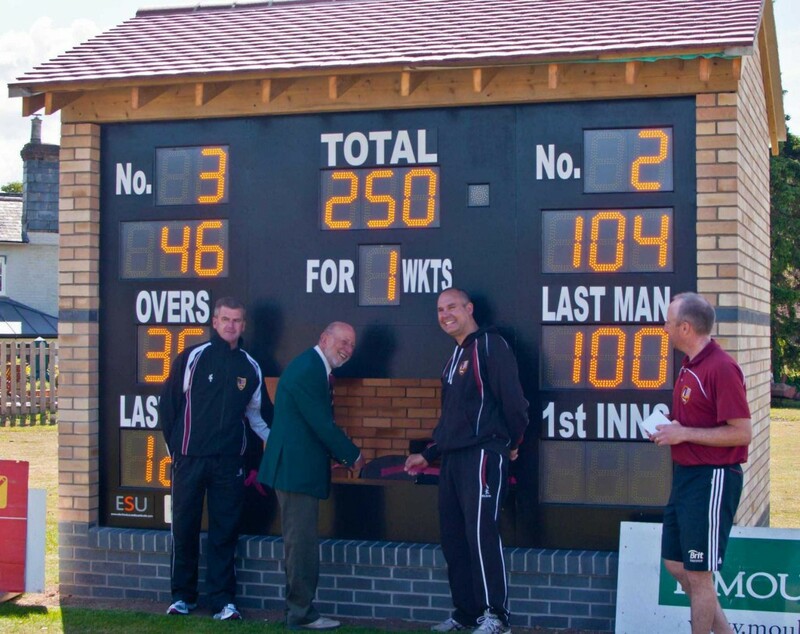 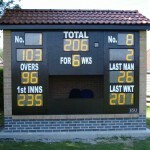 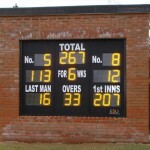 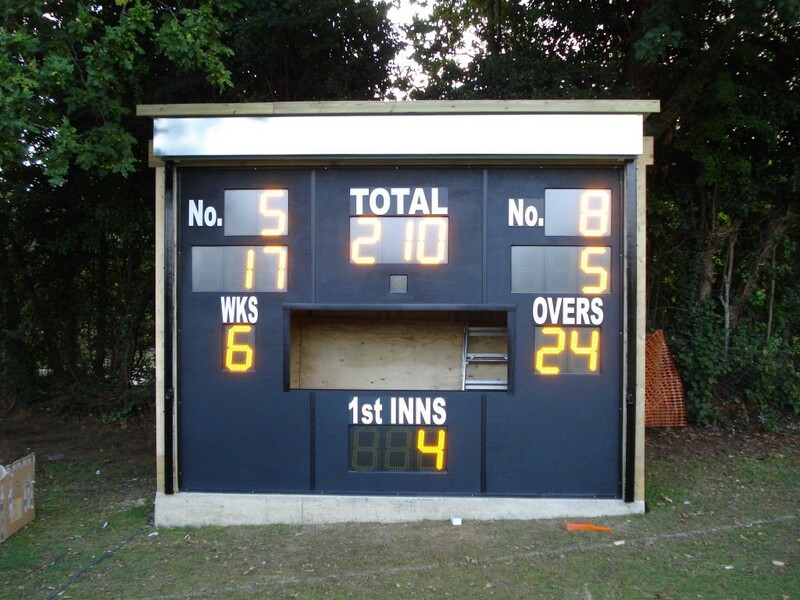 Slimline scorebox constructed on timber framework at Whimple CC.